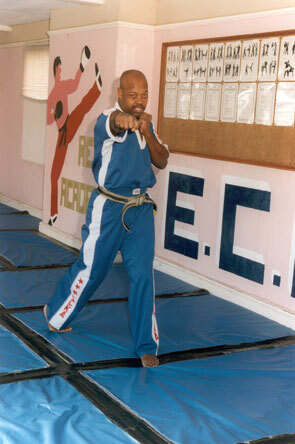 Red has always had a great passion for martial arts and his vision to teach has always been an ambition. His knowledge and experience has produced over 90 black belts to date, many of which have become national champions! He has always enjoyed competing and endeavours to encourage his students to do so as it is not only a great achievement but will also give valuable experience. Red holds a current Enhanced CRB check. 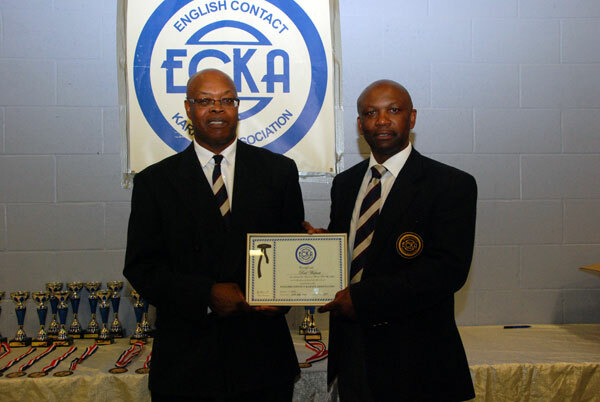 Below is a photograph of Red receiving his 6th Dan in the ECKA from Chief Instructor,Dev Barrett, 17th July 2010.